Hallstatt - 700BC - mainly geometric designs. La Tene - 450BC - floral and geometric designs, often designed using compasses and french curves. In this era we see a development of wonderful swirling spirals, cleverly hidden faces and animals are often disguised within the art. Art Nouveau takes a lot of it's design elements from this era. Some examples would be the Holcomb Mirror, Wandsworth Shield, and the Battersea Shield. Early Christian - 400AD - The spiral is now becoming more uniform, animals and people begin to appear in more recognizable forms. Near the end of this period (600 AD or so) we see an emergence of knotwork interlace, which is to become a defining example of Celtic artwork. Examples would be the Book of Durrow, and the finds at Sutton Hoo. Late Christian or Insular - 750AD-1000AD - What is considered as the height of Celtic art is reached in works of gold, silver and vellum with jewelry such as the Tara Brooch and the Book of Kells manuscript. Complex designs flourish with tiny interlaced animals mixed with spirals and knotwork. Hallstatt - almost tribal feeling with the geometric designs. Maze type designs and repeated patterns make even simple designs feel complex. As these designs date back to the Bronze age, they are perhaps the most "elemental" feeling of all the styles. La Tene - large amounts of spiral and leaf shaped designwork. Shapes of faces and animals may appear and disappear depending on how the design is viewed. Very organic. 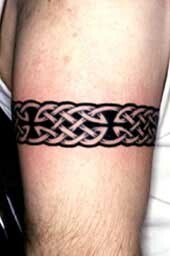 Knotwork Interlace - this is probably the most commonly identified kind of Celtic art. Basically it looks like strands of woven or braided strips that bend and weave amongst themselves. The knotwork panel may be made up of a single strip weaving through itself, or any number of strips. One of the common designs in interlace would be what's normally called the Trinity Knot, which has 3 outer points or petals, and any amount of weavings occurring within the center. Spirals - spirals may occur in double, triple or quadruple swirls. Spirals are typically joined to one another in either an "S" or a "C" type format. A relative in the spiral family would be the triskel, sometimes called the triskelion, which has 3 arms or curls radiating from a common center. Zoomorphics (animals) - typical animals would be the hound, snake, bird (usually either an eagle or peacock), the salmon, and lion. 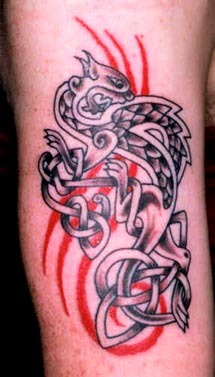 Dragons do not often appear in ancient Celtic art, although Pictish art may show dragons and modern made dragons can also be found in Celtic art. The animals are usually twisted upon themselves, with tails ears and body parts weaving in and out other parts, much like regular knotwork interlace. Maze and Step Patterns - maze patterns (also called Key Patterns) look almost like angular spirals, and may range from a few simple turns to complex labyrinth type designs. Step patterns appear to be made up of combined lego type blocks, joined to form tile-like images. New religion and the old Gods. 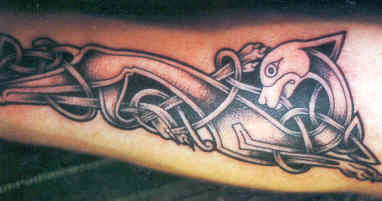 People - men and women are both depicted in Celtic art, with various hairstyles and clothing. 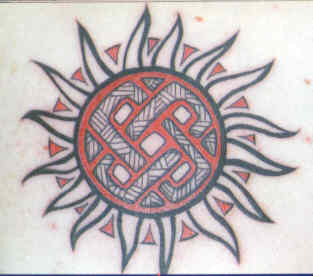 Usually their hair and limbs are knotted up much like the knotwork interlace designs. 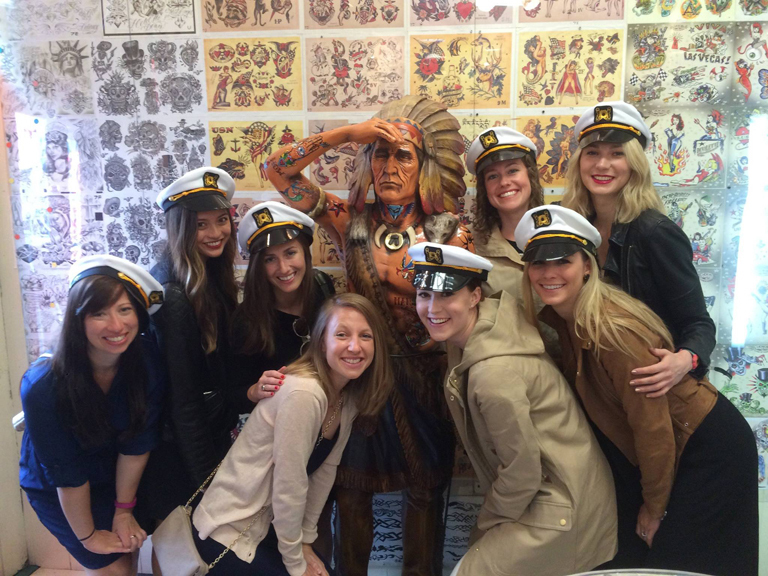 People are drawn either in a full front manner or in perfect profile, never in partial profile. Unfortunately there is no list or series of meanings that can be attributed to a particular knot, according to archeological and anthropological findings. Here are some general meanings that are generally used today...HOWEVER, keep in mind they may only be romantic interpretations of any true meaning the ancient Celts may held. If you are going to use a design or knot for something personal choose something that really appeals to you, and that'll be the most accurate definition of all. Certain types of people or personalities will prefer spirals over knots for some reason, or animals over spirals, or whatever. This reflects better what the symbols mean that anything, given that the meanings used today may only be romantic versions of what the Celts believed. 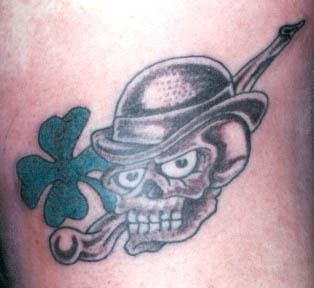 After all, the Celts were obviously an extremely passionate people, and you can be sure that they didn't just follow what they were told to use for their tattoos or shield decorations, etc., so why should anyone today who is following in those footsteps have to?! 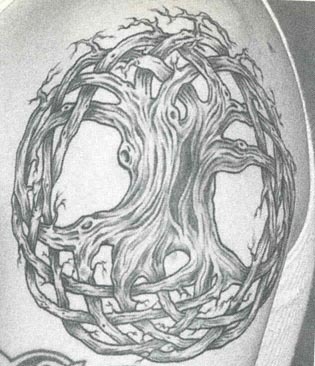 Knotwork Interlace - the interconnection of life and humankind's place within the universe. 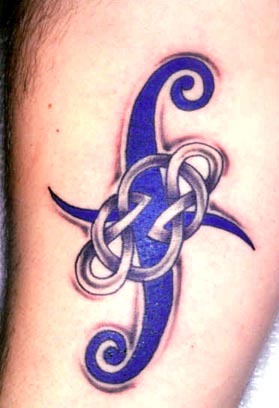 Common knots include the Trinity knot, thought to represent the Holy Trinity or the Triple Gods/Goddesses of the ancient Celts; and the Lover's Knot, representing 2 together as one (resembles intertwined infinity symbols). Spirals - usually reflects personal spirit, and an individual's attainment of balance in the inner conciousness and outer self. 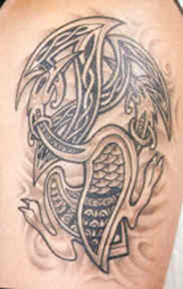 May also represent the cosmos, heavens, and water (waves). 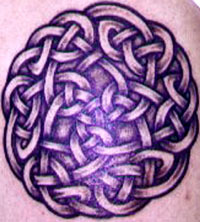 A common spiral type pattern would be the Triskel, thought to represent the Holy Trinity or the Triple Gods/Goddesses of the ancient Celts like the Trinity Knot (above). Maze and Step Patterns - an individual's journey through life (as in through a labyrinth), their path of experiences and learning. The original Celtic peoples flourished more than 2000 years ago. They created a style of design rich in symbols and motifs, which has been handed down to present generations through illustrated manuscripts, carved stonework, exquisite jewellery and beautifully ornamented religious artifacts. 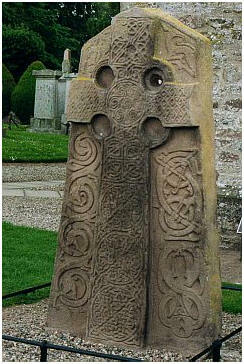 With the advent of Christianity, many of the designs rooted deep in Celtic culture were incorporated in Christian Celtic art. This led to magnificent illuminated manuscripts such as the Book of Kells, The Book of Durrow, The Lindisfarne Gospels and the Book of Durham. 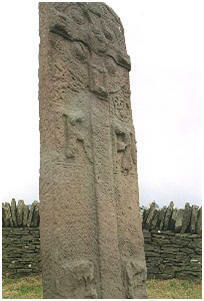 Many Celtic Crosses carved from stone date from this period and have survived to the present day. 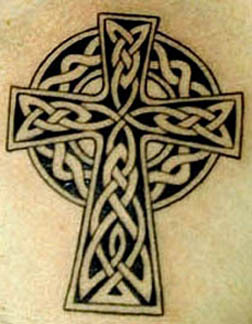 The crosses show regional characteristics and often carried classic Celtic knot work, animals, trees or symbology and occasionally scenes from everyday life. Many of the finest examples of Celtic metalwork were made for the Church, the shrine of St. Patrick's bell are beautifully decorated with knot work and Celtic motifs. 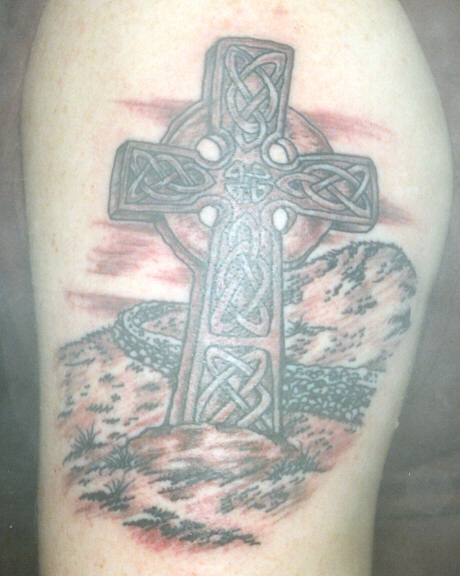 At the present time, every aspect of Celtic culture is a very visible part of a multicultural world. Everyone whose family roots lie in central, western and northwestern Europe has a Celtic connection of some sort. Celtic culture is very ancient. It goes back over 2,700 years, yet it is still a living force in the modern world, through Celtic art, Celtic music, Celtic writing, and Celtic spirituality. This is because the civilization of the Celts has continued without break over the centuries. 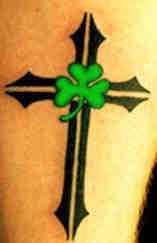 This unbroken tradition make a Celtic Tattoo relevant in todays world. Throughout history, the Celtic tradition and belief has not remained static, but has continuously developed and progressed in keeping with the times. In ancient days, the early beliefs of the Celts were taken over and reformed by the Druids, who in turn were influenced by Roman religion. In time, this was transformed by Christianity in the form of the Celtic Church, that was not a break with tradition, but a continuation of the Celtic essence in a new form. Because what we call Celtic culture has existed for more than 2,700 years, and has ranged across much of central and northwestern Europe, it is not easy to define in simple terms. People who need clear definitions of everything find that the Celts are a difficult case. 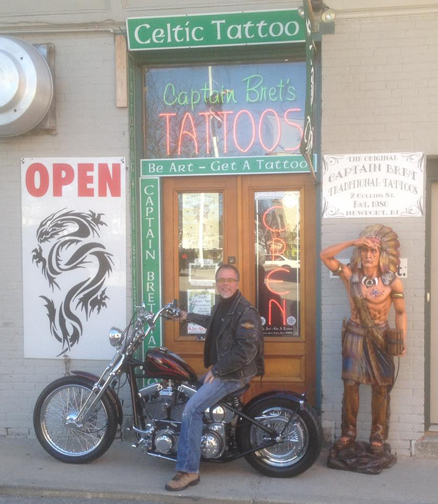 Rarely do we see portraits of actual Celts and when done are usually idealized statuary. 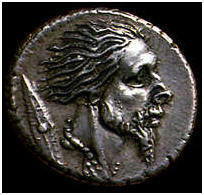 The following coin was minted by the moneyer L. Hostilius Saserna probably under the aegis of Caesar and not the Senate. The appearance of this portrait is much different than those of Romans, enhancing their 'barbarian' or foreign nature to Roman citizens. The hair is long and probably limed, the beard and mustaches prominent and the facies peculiar. A Celtic shield is behind and he wears chain around his neck. 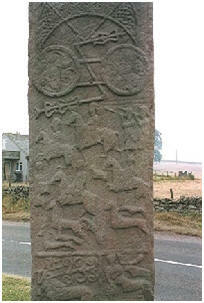 Scota was thought to be the earliest ancestor of the Scots. According to one story, she was the daughter of an Egyptian pharaoh. A wise teacher by the name of Niul, had settled in Egypt and become her husband. They had one child named Goidel, who gave his name to the Gaels. In another story, she was the wife of Milesius and was killed fighting the Tuatha De Danann. The Sangreal, or Holy Grail, was the holy vessel of Authorian mythology. It was said to be the cup that Christ drank out of at the Last Supper and is believed to have caught the blood which flowed from the spear thrust in His side at the Crucifixion. It was thought to have been brought to Britain by Joseph of Arimathea, the rich man who buried Christ. It may have also been brought by his brother-in-law Bron and his son Alan. Originally it was Sir Percival who was the first to see the Grail and in later versions of the story, it was changed to Sir Galahad, as the only knight who was worthy enough to see such a vision. The Grail was somehow lost, but many believed it was hidden somewhere in Britain, as a punishment for all the sinfulness at that time. The mere presence of the holy Grail inspired most of the knights to pursue a path of goodness and virtue. On its arrival at Camelot, the vessel filled King Arthur's hall with the most tasty smells and the knights ate and drank as never before. Sir Galahad was the one who drank from the Grail, as requested by Joseph of Arimathea, which ensured his spiritual survival and was strongly believed that Sir Galahad lives on in a Christian otherworld. The Banshee (bean sidhe -- woman of the fairies) is the traditional fairy of the Irish countryside. It was believed that the banshee would attach herself to family and her eerie wail warns them of impending death. They lived underground in sidhe (the fairy heavens), hidden beneath the grassy mounds on the Irish hillsides. The Tuatha De Danann are called 'the people of the goddess Dana' in Celtic mythology and were known to most of the Celtic peoples. They were the last generation of gods and goddesses to rule Ireland just before the last invasion of Milesius, who were the ancestors of the present day Irish. The Fomorii were the previous rulers of Ireland, until the Tuatha De Danann defeated them after the second and last battle of Magh Tulreadh. The main reason they won the second battle, was due to their superior magical abilities. Also the Tuatha De Danann were great masters of magic, crafts, and knowledge. 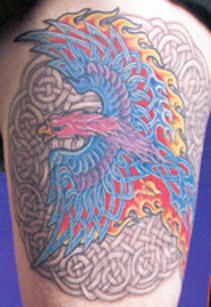 They brought with them four talismans: the Stone of Fal, which would scream out loud whenever the true king of Ireland placed his foot upon it; the Magic Sword of Nuada, which was a weapon that only inflicted fatal blows; the spear or sling-shot of the sun god Lugh, and the cauldron belonging to Dagda, who was the father of the gods. It was an inexhaustible pot and was capable of satisfying everyone's appetite. With the advent of Christianity in Ireland, the Tuatha De Danann did not entirely disappear. In fact, many of their exploits were recorded by the monks, who wrote down many of the Celtic legends. The Tuatha De Danann eventually took up residence underground and became known as the fairies. It is believed, that on the ancient Celtic feast of Samhain, which is celebrated on the last day of October, the Tuatha De Danann would sometimes allow certain mortals to enter their realm. 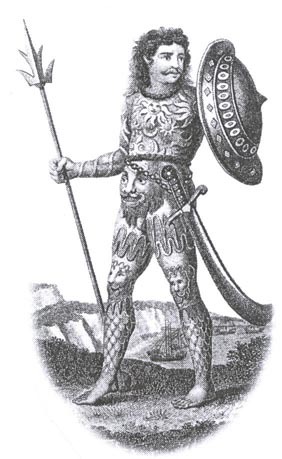 The Fomorii were the sea gods in Irish myths, who were extremely violent and misshapen. They are described as having only one eye, one hand, or one foot. It is said that the Fomorii emerged from the waves of the ocean and challenged the rulers of Ireland, the Firbolg and the Tuatha De Danann. It was the Tuatha De Danann, who defeated them in battle. Annwn was a Welsh otherworld, which was a place of peace and plenty. In Annwn there was the fountain of sweet wine and the cauldron of rebirth. The lord of Annwn was the grey-clad Arawn, with whom Pwyll had agreed to exchange shapes and responsibilities for a year. Arawn had a pack of hounds, which were called, 'the hounds of hell.' It is believed that they would fly at night in search of human souls. Ceridwen was the Welsh goddess of fertility. She was the mother of Afagddu, who was the ugliest man in the whole world. To try and compensate for his ugliness, Ceridwen boiled a cauldron of knowledge for a year and a day, so Afagddu could become the wisest of all and thus be respected. She told Gwion Bach it would be his duty to tend to the cauldron. However Afagddu was denied the prophetic gift, when a drop of the liquid fell on Gwion Bach's finger and unthinkingly he stuck it in his mouth and sucked it off. Furious, Ceridwen hunted him down and eventually ate him. Later however, he was reincarnated as Taliesin, who became the greatest of all the Welsh bards. Ceridwen had another ugly son, who was called, Morfan. He was a fearsome warrior and fought with King Arthur in his last battle at Camlan. At first none of Sir Modred's men would dare fight against Morfan, because they thought he was so ugly, that surly he must be a devil. Morrigan is sometimes called Morrigu. She was an Irish goddess of death on the battlefield. She helped the Tuatha De Danann at both battles of Magh Tuireadh. She was also associated with the other war deities: Macha, Badb, and Nemain. Her favorite form to turn into, was that of a crow and as such she settled in triumph and revenge on the shoulder of the Ulster hero Cuchulainn, when he was killed in the war against Queen Medb's forces. 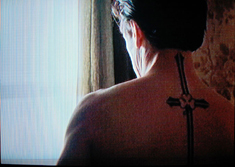 Not only had he refused Morrigan's love, but in anger had even wounded her. Dian Cecht was the Irish god of healing. It's said that he and his daughter Airmid, tended the spring whose waters could restore the dying gods back to life. After the leader of Tuatha De Danann, Nuada, lost his hand fighting in the first battle Magh Tuireadh, Dian Cecht gave him a silver hand, earning him the title, Nuada of the Silver Hand. Even though the Tuatha De Danann were highly impressed by the god's handiwork, they felt that perhaps Nuada was no longer physically able to be their war leader. That was when Bres, who was half Fomorii, took his place. He turned out to be a tyrant and became very unpopular with the Tuatha De Danann. They then decided to restore Nuada to leadership, after Miach, the son of Dian Cecht, had made him a new hand of flesh and blood. Unfortunately, the god of healing became jealous of his son's medical skills and killed him. Dylan was the Welsh sea god. His parents were Arianrhod and her brother, Gwydion. Soon after he was born, he went straight to the sea and jumped in. Immediately Dylan could swam just as well as the fish. It's said that when his uncle, the smith god Govannon, killed him, all the waves of Britain and Ireland mourned his death. Cliodhna of Irish mythology, was one of the otherworld goddesses of beauty. It was said that she possessed three very fine, magical birds which could sweetly sing the sick into a deep sleep and cure them. The goddess was passionately in love with a mortal man named Ciabhan, a youth with curling locks of hair. One day, when Ciabhan was hunting and Cliodhna was walking along the shore near Cork, the sea god Manannan Mac Lir put her into a magic sleep and then sent a wave, which pulled her back to the Land of Promise. The Fianna were the famous warriors responsible for the safety of the High King of Ireland. They were frequently called the Fenians and their leader was Finn Maccool. Most of them came from one of two clans, the Bascna and the Morna. Many of their exploits are related in the tales of the Knights of the Round Table. To join, "no man was taken till the gound a hole had been made, such as would reach the waist, and he put into it with his shield and a forarm's length of hazel stick. Then must nine warriors, having nine spears, with a ten furrows' width between them and him, assail him and let fly at him. If he sustained injury, he was not received into the band." Caer was a beautiful fairy maiden, who was loved by the Irish love god, Aonghus. Her father Ethal was one of the Tuatha De Danann. The love god saw Caer in a dream and was so attracted to her beauty, that he fell into a deep sickness. When he discovered who Caer was, he immediately asked her father for her hand in marriage. Ethal however, stated that it was not in his power to grant this because his daughter had taken on the form of a swan. Ethal told Aonghus that he could ask Caer to marriy him only if he was able to recognize her from among the large flock of swans with whom she lived. When the swans arrived at the Lake of the Dragon's Mouth, the love god immediately recognized Caer and called out her name. Later Aonghus and Caer were married.